Generally, Tennessee misdemeanor crimes carry less severe penalties Tennessee felony offenses. A misdemeanor offense may result in significant jail time, costly fines and court fees, and will require multiple visits to court. More importantly, a Tennessee misdemeanor conviction will stay on a person’s record for the rest of his or her life. Felony crimes are offenses that may be punished by 1 year or more in confinement (jail), while misdemeanor crimes represent those punishable by a fine and/or confinement for less than 1 year. However, some misdemeanor convictions actually require more mandatory jail time than Tennessee felony convictions. May a Misdemeanor Crime be Elevated to a Felony Offense? Copyright © 2011—2016 The Oberman & Rice Law Firm. All rights reserved. Re-publication or redistribution of this content is expressly prohibited without the prior written consent of Steven Oberman. The information within this website is intended to provide some general information about Tennessee criminal laws and about Knoxville, Tennessee Criminal Defense Lawyers Steve Oberman and Sara Compher-Rice. Mr. Oberman and Ms. Compher-Rice anticipate that you will have questions about how they can best represent you in your Tennessee Criminal or Traffic case. Please do not hesitate to discuss with Knox County Criminal Law Attorneys Steve Oberman and Sara Compher-Rice any aspect of your Tennessee Criminal case, their resources, or how they can better represent you. It is their hope that you will be completely satisfied with their work and will become one of the many clients of The Oberman & Rice Law Firm who refer our firm to their family and friends. DISCLAIMER: Any contact through this web site, including, but not limited to, email, electronic submission, and/or telephone communication, does not create an attorney-client relationship with any member of the Oberman & Rice Law Firm. Until Mr. Oberman or Ms. Compher-Rice agrees to an attorney-client relationship, you are not a client. Do not send any communication that you expect to be kept confidential, and you are hereby advised that any information that you do send may not be held confidential. 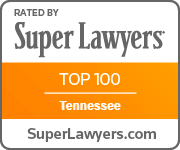 The determination of the need for legal help, legal services and the choice of a Knoxville Criminal Defense Lawyer are extremely important decisions and should not be based solely upon advertisements, certification, specialization or self-proclaimed expertise. Potential clients are urged to make their own independent investigation and evaluation of any Knoxville Criminal Defense Attorney being considered. Tennessee Criminal Defense Attorneys Steve Oberman and Sara Compher-Rice shall not be liable for any errors in the content, or for any actions taken in reliance thereon.. Many of the photographs of our lawyers, as well as the cityscape photograph of Knoxville, were taken by the talented Knoxville photographer, Gary Heatherly. Mr. Heatherly may be contacted at Gary Heatherly’s Photography. Website Design Copyright © 2019 Website optimized by: elliottsweb.com.